The ergonomic easy grip handle design allows adults maximum brushing control whilst the extra small head gives easy access for cleaning small mouths. The filaments are supersoft to give gentle cleaning and to help massage teething gums. 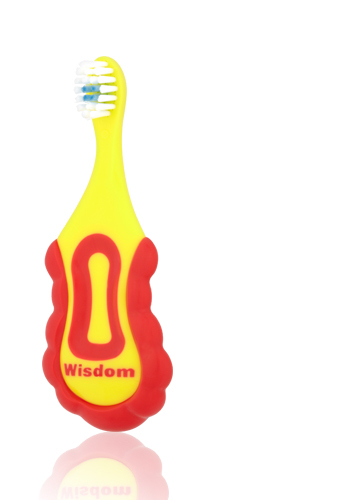 The short neck design also ensures safe brushing as it prevents the brush from going too far into your babies mouth . 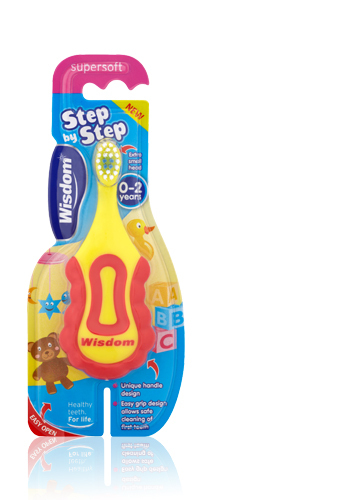 Use with Step by Step 0-3 fluoride toothpaste specially designed for first teeth. Children should always be supervised when brushing.